The popular jailbreaker's app iBye is upgrading to version 3 for use with iOS 5, which is set to be released sometime in the fall. 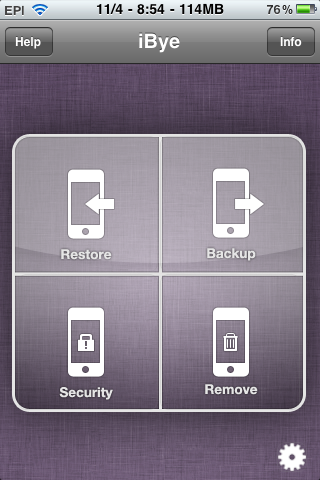 This new version of iBye will offer iCloud-like functionality to it's popular backup options. The best part about it is that you can use whatever server you want. I've been using it for a while and like it! Good to see you, chuck! So will this app back up all your cydia data as well? I hate restoring all my iFile files after upgrading. Good 2 see u 2 maX. How have you been? Hello Chuck, it's really good to see you again. I will try this too!! Yes, everything is very great, how about yours mate? ?